Our most popular floor marking material provides maximum durability under pressure. This tough PVC tape with liner has a gloss coat to provide extra strength and visibility. The beveled edges ensure that items moving across the floor won't snag. Organizing traffic flow or implementing 5S is easier to do with Rigid. 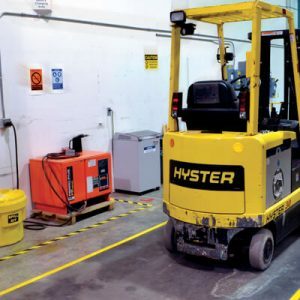 Fork-Lift Safe: this floor tape is designed for use with forklifts and other heavy equipment. 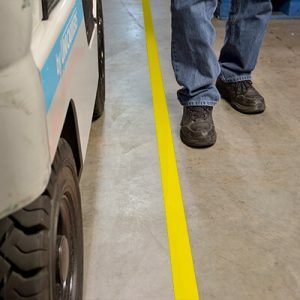 Beveled Edge: this floor tape stands the test of time by preventing equipment and items from snagging. Low Profile: ensures your floor tape does not become a safety hazard. Shapes: offered in circles, corners, Ts and footprints.